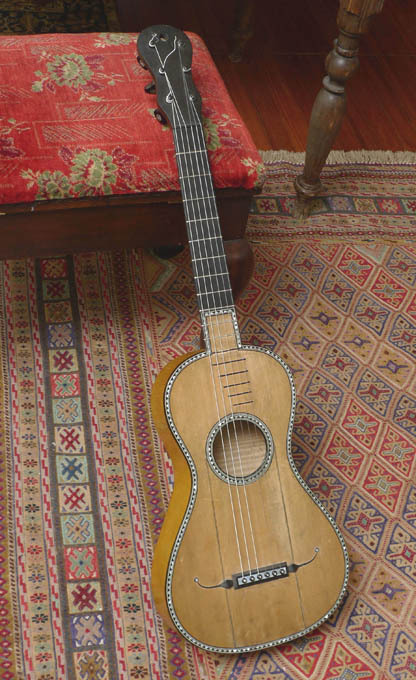 This fine and early example of the French guitar was made in Mirecourt, France, around 1800 to 1810. 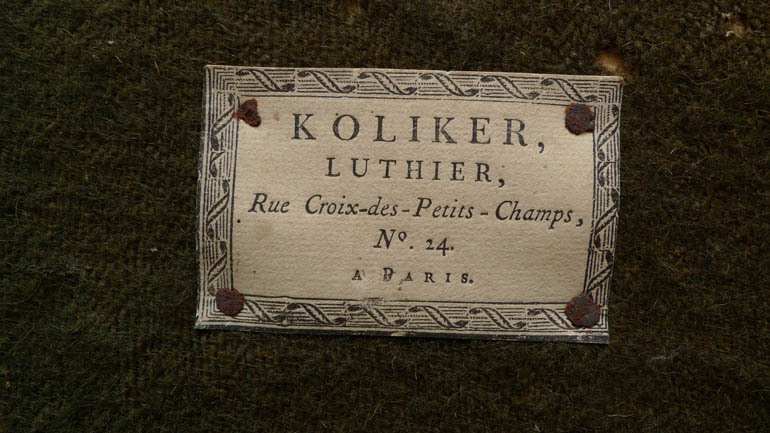 And sold through the famous Parisian dealer Koliker. It is a rare early example, as indicated by its rectangular bridge that does not have a separate saddle, but uses the top edge of the ebony rectangle as the saddle (this feature places it circa 1800, not like the more common 1820-1840 French guitars that have a more modern style bridge including a regular saddle). 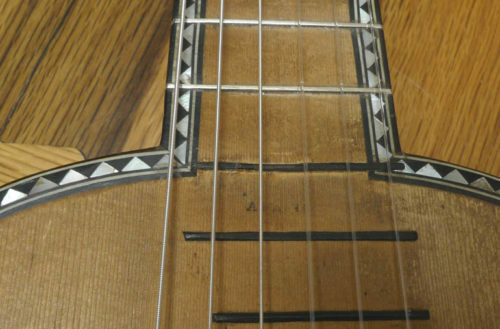 But for all its rarity, and exoticism to modern eyes, the most salient feature of this guitar is that it plays wonderfully. This is no museum piece to hang on a wall or shelf. 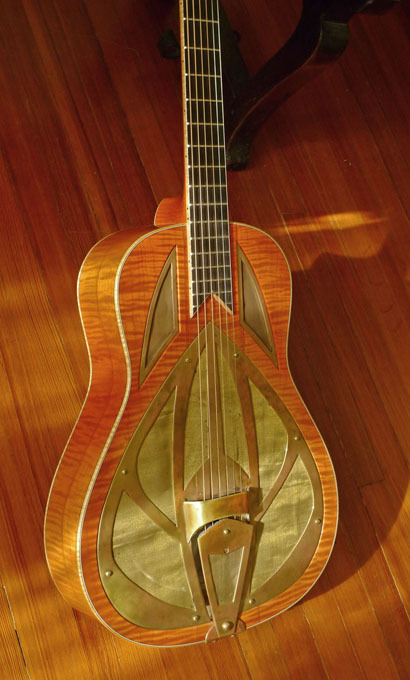 This guitar is to play and enjoy. 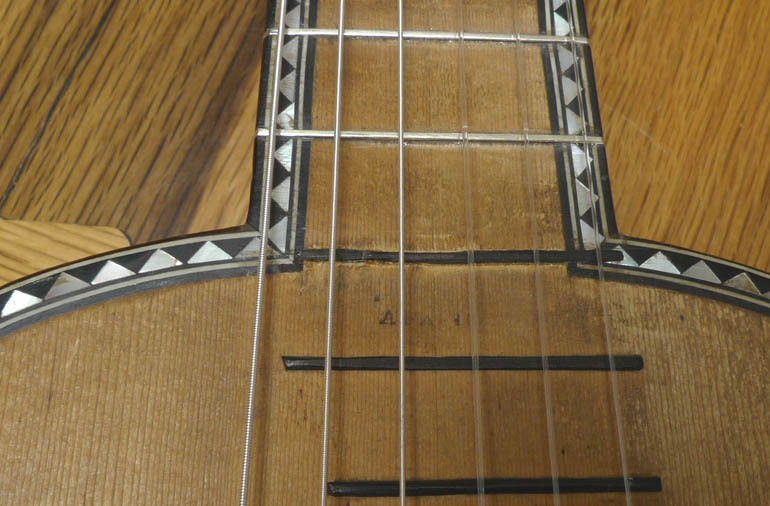 It plays beautifully, with all frets in tune. 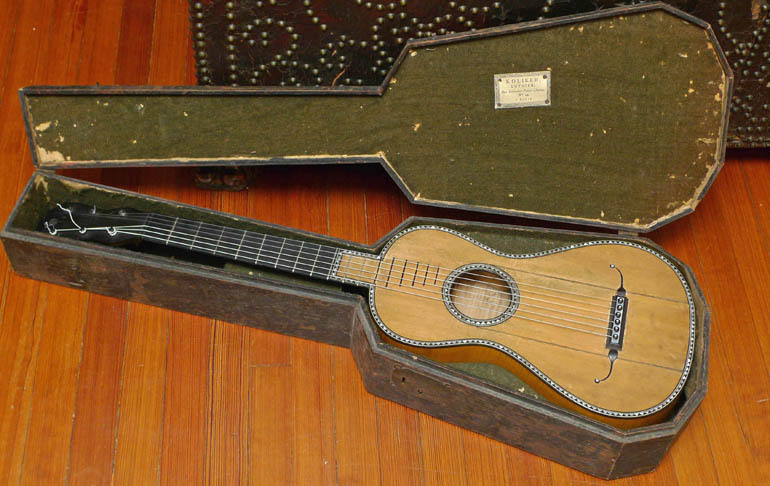 With no buzzing… I have had guitars from the 1960’s that do not play as well, in tune, and sound as well as this one. 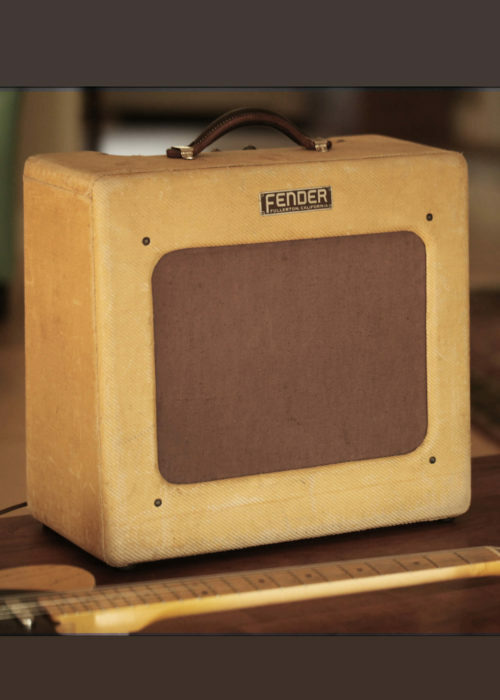 Even the action is perfect. 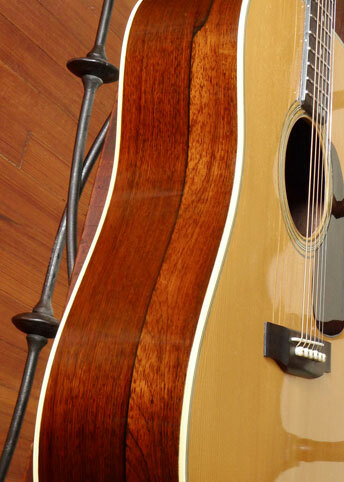 The guitar has a wonderful tone, with a sweetness and brightness from the maple, and full bass response. 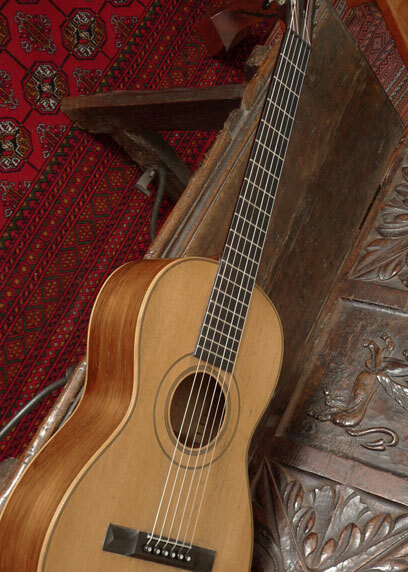 Spruce top, with no finish on the spruce… this is a characteristic of guitars from this time and place. 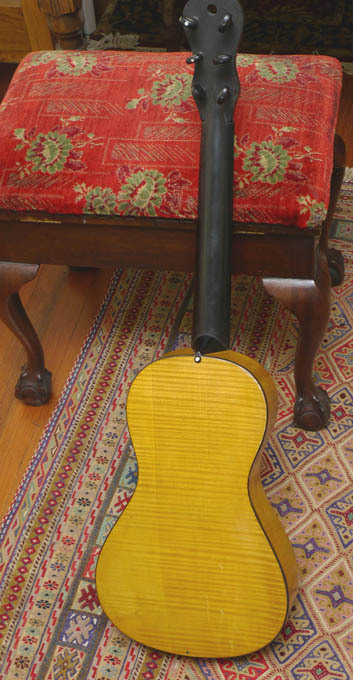 While the back and sides of the guitar were French polished, the spruce top was left as natural wood, with no finish. 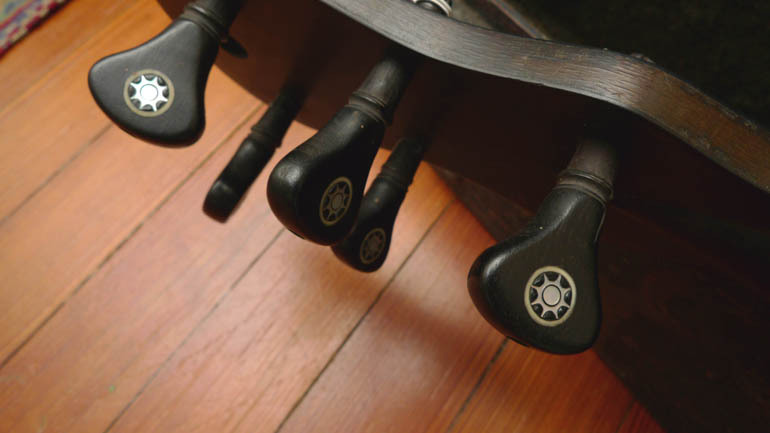 The two dark splices on the soundboard are later, but still 19th century, restorations, done as decorative flourishes.